France is such a wonderful place with it's ancient architecture, unique culture, amazing transportation system, and great food. What makes it most interesting to me is that I lived there for 3 years and have friends there. This is a scanned in version of a physical album we created following a vacation in 1994. The comments on each photo are from the album, with a few embellishments and corrections. It's difficult for me to work on this album without feeling tugs at my heart for both the experience of living there and the amazing unique city of Paris. If you click on the large photo on the right it will expand. But much better is to click on the >Slideshow button above and to the right for a full screen show. 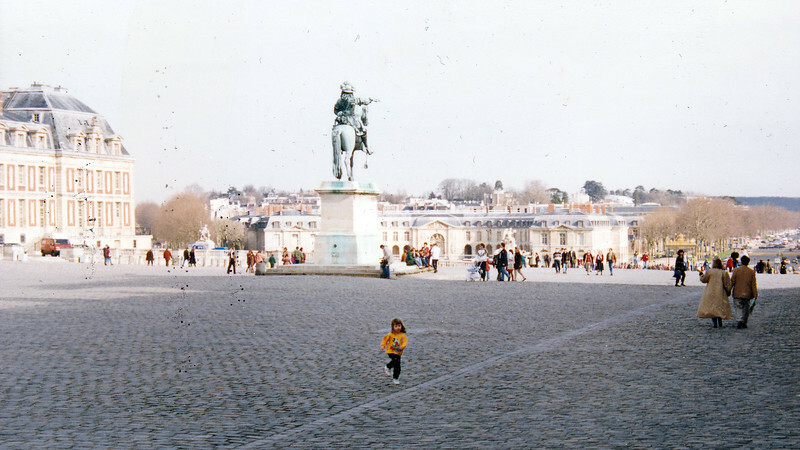 Kiersten in front of the Chateau of Versailles.